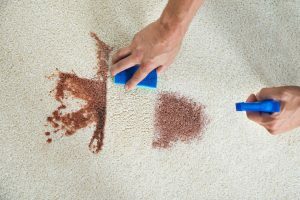 The easiest and most frequent care steps include vacuuming and stain removal, as well as several preventative measures. Vacuum your rug using a low-powered vacuum cleaner. Should long ends of yarns appear on surface do not pull. Use scissors to trim yarn evenly with the rug surface. Dirt particles will settle down into the base of the rug through the pile fibers if left for some time. 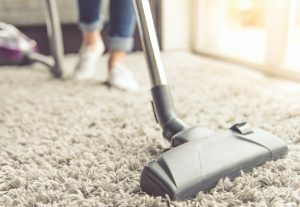 Vacuum will remove the surface lint, but heavier particles will actually be aided in their downward movement by the vibrating of the vacuum cleaner. Once the grit settled into the base, foot traffic will cause will result in friction between particles and the base of the wool pile fibers, slowly breaking the fibers, and leading to wear. Regular cleaning helps increase the life span of your rug greatly, maintaining its condition for a much longer time. For stain removal, quick action is the key to success. For especially tough stains make a solution of water, white vinegar and mild detergent. Mix and only apply the foam from the top layer of the solution to the stained area. Thereafter, clean with a damp cloth to remove any residue. A small amount of fabric softener sprayed onto to the stained area will help to preserve the softness of the fibers. 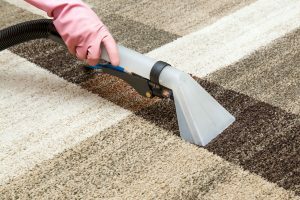 If your carpet should become very dirty, we recommend contacting a professional carpet specialist. Your rug should be professionally cleaned every 2-3 years or when you notice the colours to be less vibrant. Rugs in extremely high traffic areas may require more frequent cleaning. A non-slip rug pad/underlay is highly recommended when laying your rug on a hardwood, marble or tile floor. This will keep your rug in place. 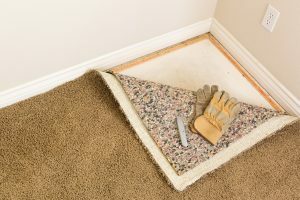 Act as a Moisture Barrier Between Rug and Floor to discourage any potential damage that might be caused by creeping, pulling and stretching rugs.